Morning All! 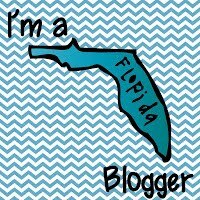 I feel like I have been so busy lately with family sports activities I haven't had a chance to blog let alone catch up with my BBBs! I hope everyone is doing well. I can see from Instagram that you are all making wonderful things for Back to School.! 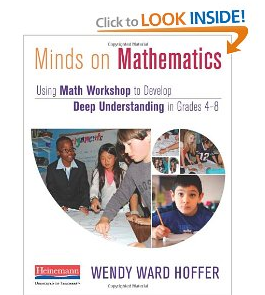 Today I am linking up with Sherrie at Middle School Math Rules, for Minds on Mathematics. Again, I should have posted Saturday with Chapter 9, but the whole traveling with the softball team is getting in my blogging way. It was a GREAT tournament BTW. The team came in third out of 18 pretty competitive groups. My "24" won an MVP medal water bottle for a game on Saturday. Woot! But really friends, I am posting today about the book! PoD: How can you get to know your students individually as math learners, and promote their confidence and growth. The biggest part of this chapter was about making sure that you are LISTENING to the thought processes of the student, and not jumping in to solve problems FOR the student. It reminded me a lot of a workshop I trained in awhile ago for mentoring called Cognitive Coaching because you are creating questions and comments which allow students to think through their own work. I used this method a lot with student and new teachers I was mentoring by using Cognitive Coaching techniques on reflection. I also liked that Hoffer stresses the idea of starting small. Try for one or 2 students per period and then expand as they become more familiar with the model. This to me is critical. We all have big plans about meeting with all of our students. We should, as good teachers know the pulse of every child. But I think at the beginning of the school year we try to hit every student and get overwhelmed. Then practices like conferring get shoved into the filing cabinet because we were not successful at them, By starting small, and working up to it, I think I will have better success at this. Finally, I really liked the conferring questions on page 147. I think to help me get started, I am going to type up and laminate the questions and put them on my clipboard with the paper I am using for data collection. This will also help remind me not to be a talker.. but a listener in conferences. PoD: How can we ensure that students end class understanding their learning? Hoffer stresses the importance and need for students to reflect on their own learning and share their own thinking at the end of every lesson. I really enjoyed Hoffer's suggestions of sharing and thinking prompts (pg 162-163). I still rolling around how I want to incorporate this reflection piece into my lesson... as in where I want students to DO the reflection. I use an interactive notebook which has lesson notes, foldables, and vocabulary in it because our math program is digital, and I want them to have something to reference. I'm toying with having them leave a few lines at the beginning of the page after we put the lesson header with the CCSS to return and reflect when we are finished. I also have a ticket out the door/post it thing etc. but I want something that students will keep permanently so they can see their vocabulary/math writing growth throughout the year. Does anyone do reflections daily on learning? If so, where do you have students write the information? Do you use an Interactive Notebook for learning in math? Is there a section for this? Please share below and let me know your strategies! AND! Don't forget to stop by the twitter chat tonight and chime in about Minds on Mathematics! hey Michelle! It's crazy how busy the summer feels this year! I sort of use an interactive notebook, but I am asking them to use a small binder as well. They will put notes/vocab/foldables on the left side of ISN, reflection on the right side and then do practice problems or work in the binder. Great summary Michele! I had the same thought as you about printing, laminating, and holding the questions on my clipboard. Of course, there are so many lists in the book that I'd like to do that with and my clipboard is going to weigh a ton! 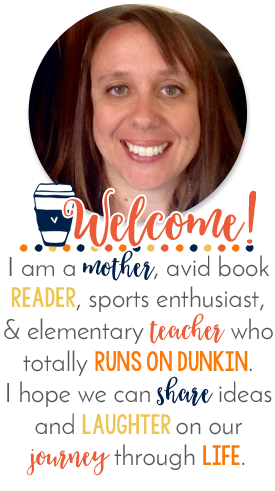 This is my first time on your blog and I'm excited to browse through your interactive notebook posts since I'll be doing that for the first time this year. Congrats on the softball game!